Last Tuesday, prominent Austin insurance attorney, Mark Kincaid, died at the age of 56 following complications of a stroke suffered on New Year’s Eve. Mark had been a force in Texas Insurance Law for the past three decades as a frequent writer on Texas insurance law topics, a frequent CLE speaker, and a prominent policyholder lawyer. For the last 7 years, he worked closely with Chris Martin of our firm as the co-author of the legal treatise Texas Insurance Litigation published by West Publishing. Kincaid and Martin’s treatise has been cited by more than a hundred courts across the country in decisions dealing with Texas insurance issues. 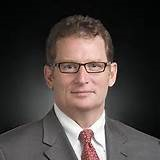 He was a founding partner of the Austin firm of Kincaid & Horton and for the past decade taught insurance law at the University of Texas Law School. Funeral services are being held on Friday in Austin.